Ohio based precision machine shop R.W. Screw Products, Inc., was founded in 1948 by E.Ray Woolley. The company has grown to attain national recognition as a manufacturer of precision screw machine parts. Under the leadership of James F. Woolley, son of the founder, R.W. 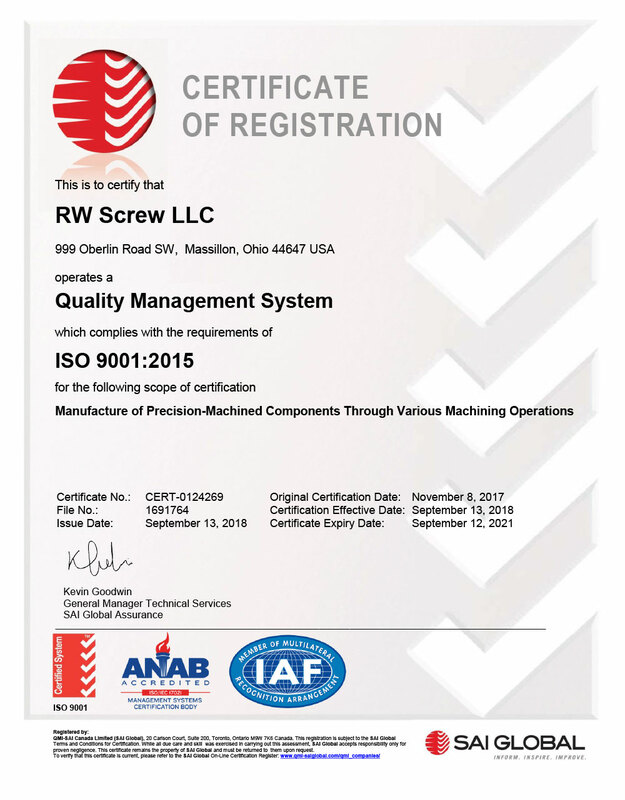 Screw Products has grown into a modern facility incorporating over 188,000 square feet of manufacturing and administrative area. 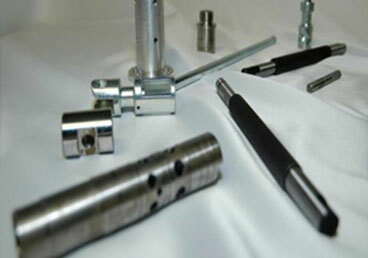 Full or partial CNC options for machining tight tolerance parts, lower tooling costs, high volume and fast cycle times. Full capabilities to complete manufactured items after the primary forming process. We have a wide array of grinding equipment equipped with CNC dressers and automated loading systems. RW Screw is not just a place to work, but a place to have a career. 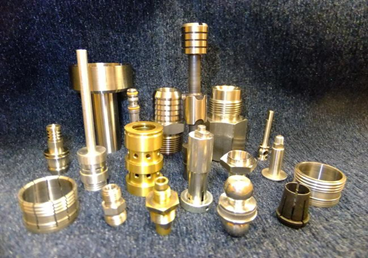 The people are what make RW Screw one of the premier precision machining companies in the area. If you are interested in joining a successful team you came to the right place. We make Quality Machined Parts, Built to Last.